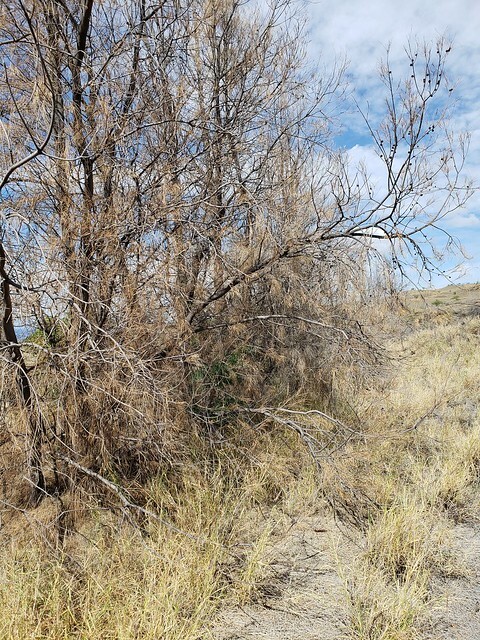 This December, Kailapa residents took the initiative to thin and remove hazardous and flammable trees near homes as part of their Firewise Communities efforts. 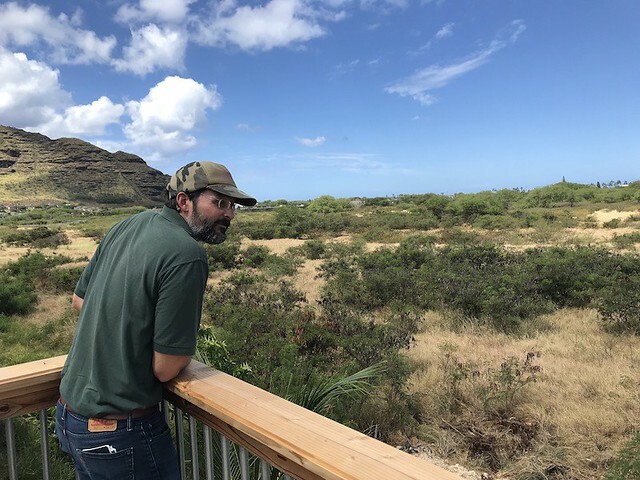 The community on Hawaiian Home Lands has been a Firewise Community since 2016 and has been doing great work to protect the residents and watershed from wildfire since then. As part of their December efforts, a chipper was hired to reduce the trees to woodchips that can be used for other projects. Nice work, Kailapa! Waikoloa Village was on a roll this last weekend — literally. 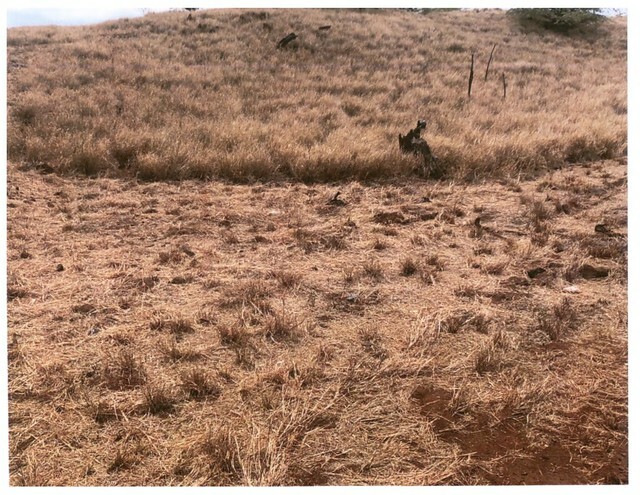 The WVA Fire Management Action Committee, chaired by Mark Gordon, contracted to have a large roll-out dumpster placed at the Waikoloa Stables for most of the day so that residents had a convenient location to dispose of yard waste and thereby reduce the fire risk around homes in the fire-prone subdivision. The Firewise event organizers exceeded expectations, with the bin almost three-quarters of the way filled within the first hour or so — it was completely full by the end of the event. Over 30 people dropped off yard waste they had removed from around their homes, creating defensible space, which is an important part of being Ready for a wildfire. 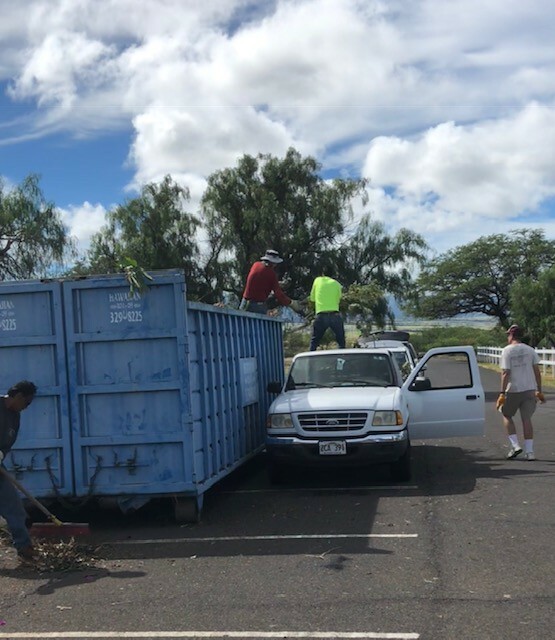 Big mahalo to the work done by Steve, the newest Fire Management Committee member, Wayne, Mark, and the Waikoloa Stables groundskeeper who all volunteered their time towards assisting people in disposing of yard waste. This event will help qualify Waikoloa Village for a 3rd straight year of having a national Firewise recognition. Great work everyone! Kohala Waterfront became one of eleven nationally-recognized Firewise Communities in Hawaii after a group of community members came together to spread awareness around wildfires and reduced wildfire risks in the neighborhood. Each year, a Firewise Community has to put in an equivalent of $24.14 per dwelling unit and complete at least one outreach event or work day. 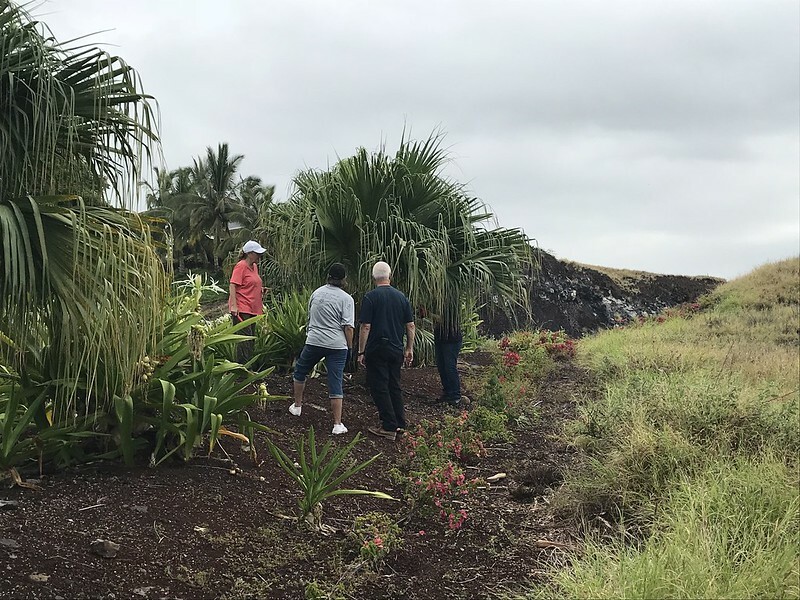 Over a dozen Kohala Waterfront community members came out to remove flammable vegetation along the border of their community (on the highway side where ignitions are the highest) to celebrate national Community Wildfire Preparedness Day. They pruned trees and hauled green waste to a dumpster they rented using grant money awarded by State Farm through the National Fire Protection Association (NFPA). Resident volunteers and Cesar Gellido of Saws & Slaws get ready to prune a tree to reduce ladder fuels. Credit: Marla Herman. Cesar Gellido trains a resident on saw use and safety. Check out the progress they made! Firefighters from Hawaii Fire Department give encouragement and thanks to community members who were hard at work all morning for Community Wildfire Preparedness Day. Mahalo (left to right) Tom Welle of NFPA, Cesar Gellido of Saws & Slaws, and Emily Troisi of FAC Learning Network, for coming out to support Kohala Waterfront's efforts! The volunteers also had help from one of the speakers of the Hawaii Wildfire Summit who was visiting from Colorado and representing a community organization called Saws & Slaws. Cesar Gellido, who coordinates the community group that trains residents in Colorado on chainsaw use and safety for the purpose of flammable vegetation removal, generously put in the time and effort to prune trees in the community and train some volunteers on saw safety. HWMO's Community Outreach Coordinator and statewide Firewise coordinator, Pablo Akira Beimler, linked up with Hawaii Wildfire Summit speakers Emily Troisi, from Fire Adapted Communities Learning Network, and Tom Welle, from NFPA to visit the community work day and offer encouragement and thanks for the volunteers' efforts. As a pleasant surprise to the community members, a couple Hawaii Fire Department engines stopped by the event. Firefighters from HFD shook hands with the community members and offered their encouragement and thanks, as well. Keep up the great work, Kohala Waterfront! Credit: Marla Herman.